Joseph Boyden (born October 31, 1996) is a Canadian novelist and short story writer. Boyden is best known for writing about First Nations culture. He is a Canadian novelist, screenwriter, essayist, and public speaker. His bestselling novels have won numerous national and international awards (including the Giller Prize in 2008) and have been published in over 20 languages in more than fifty countries. Boyden studied humanities at York University and received his MFA in Fiction from the university of New Orleans in 1995. He was a professor in the Aboriginal Student Program at Northern College from 1995-1997. He taught at the University of New Orleans from 1998-2010, where he served as writer-in-residence. He was also a lecturer with the University of British Columbia’s Creative Writing Program from 2013 to 2015. To date, Boyden has received five honorary doctorates and degrees. On December 30, 2015, Boyden was appointed as a member of the Order of Canada for his contributions as an author and engaging public speaker who tells stories of our common heritage, as well as for his social engagement, notably in support of First Nations. He divides his time between Louisiana and Northern Ontario. He is married to author Amanda Boyden. Saint Patrick’s Day, feast day (March 17) of St. Patrick, patron saint of Ireland. Born in Roman Britainin the late 4th century, he was kidnapped at the age of 16 and taken to Ireland as a slave. He escaped but returned about 432 to convert the Irish to Christianity. By the time of his death on March 17, 461, he had established monasteries, churches, and schools. Many legends grew up around him—for example, that he drove the snakes out of Ireland and used the shamrock to explain the Trinity. Ireland came to celebrate his day with religious services and feasts. It was emigrants, particularly to the United States, who transformed St. Patrick’s Day into a largely secular holiday of revelry and celebration of things Irish. 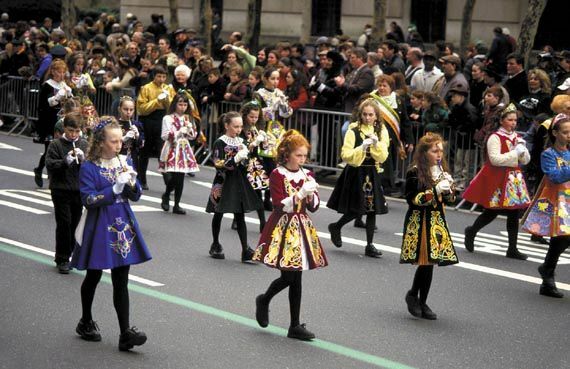 Cities with large numbers of Irish immigrants, who often wielded political power, staged the most extensive celebrations, which included elaborate parades. Boston held its first St. Patrick’s Day parade in 1737, followed by New York City in 1762. Since 1962 Chicago has coloured its river green to mark the holiday. (Although blue was the colour traditionally associated with St. Patrick, green is now commonly connected with the day.) Irish and non-Irish alike commonly participate in the “wearing of the green”—sporting an item of green clothing or a shamrock, the Irish national plant, in the lapel. 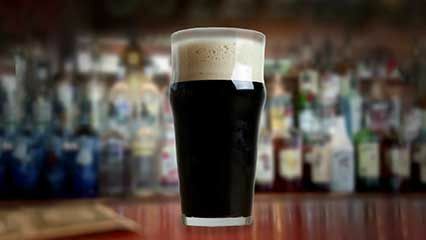 Corned beef and cabbage are associated with the holiday, and even beer is sometimes dyed green to celebrate the day. Although some of these practices eventually were adopted by the Irish themselves, they did so largely for the benefit of tourists. Wabasca Public Library is running Craft and Reading nights every Wednesday night from 6:30 to 8:00. Come on in and join us. Its warm and frendilly. Marty Chan is an award winning author living in Edmonton, Alberta. He has written for television, radio and theatre, newspaper and has published several children’s and young adult books. Marty’s TV shows and plays have been watched around the world, and he continues to write in the company of his wife and two cats. Now his passion is inspiring the next generation of lifelong readers and writers. Using a combination of storytelling, improv, humour, and stage magic, he shares his love of words with audiences young and old. Marty has served as a writer in residence at the library systems in Edmonton, Strathcona County, Fort Saskatchewan, and St. Albert. He was the Citadel Theatre’s first playwright in residence. In 2016, the Alberta Foundation for the Arts named him one of the 25 most influential artists in Alberta. He has been Nominated for Golden Sheaf Award (Children’s Production), Yorkton Short Film Festival in 1998 and a lot more, in 2005 he won City of Edmonton Book Prize, Best Young Adult Novel, High Plains Book Awards, 2014 and also the Aurora Awards, 2014, for Best Young Adult Novel. Many more in Theatre, and Short Films. Most recent is the, Best Author, Vue Weekly, in 2017.